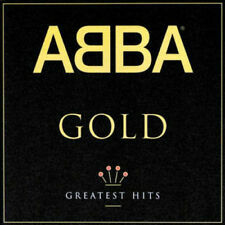 ABBA : Gold: Greatest Hits CD (2002)Title: Gold: Greatest Hits Artist: ABBA Genre: Rock/Pop|Pop Duration: 78.50 mins Format: CD / Album Type: CD No. of Discs: 1 disc(s) Studio / Label: Polydor UK Release Date: 24 Jun 2002. Level 42 : Level Best: A Collection of Their Greatest Hits CD (1993)Title: Level Best: A Collection of Their Greatest Hits Artist: Level 42 Genre: Rock/Pop|Pop Duration: 72.40 mins Format: CD / Album Type: CD No. The Who : A Quick One CD (2003)Title: A Quick One Artist: The Who Genre: Rock/Pop|Rock Duration: 56.30 mins Format: CD / Album Type: CD No. of Discs: 1 disc(s) Studio / Label: Polydor UK Release Date: 14 Apr 2003. 50 Cent - Get Rich Or Die Tryin'. 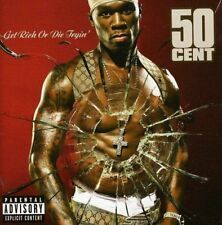 Title:50 Cent - Get Rich Or Die Tryin'. Artist:50 Cent. All of our paper waste is recycled within the UK and turned into corrugated cardboard. Your item will be previously owned but still in great condition. Rainbow - Catch The Rainbow: The Anthology. Title:Rainbow - Catch The Rainbow: The Anthology. All of our paper waste is recycled within the UK and turned into corrugated cardboard. Can't find what you're looking for?. Cozy Powell : The Best Of Cozy Powell CD (2003)Title: The Best Of Cozy Powell Artist: Cozy Powell Genre: Rock/Pop|Rock Duration: 78.40 mins Format: CD / Album Type: CD No. of Discs: 1 disc(s) Studio / Label: Spectrum UK Release Date: 24 Feb 2003. Artist Stakka Bo Title Supermarket Release Date 1999-10-01 Label: EMI Records Number of Discs 1. 1 9 Living It Up. 1 8 Under Direction. 1 7 Down The Drain. 1 6 Everything. 1 5 Happyman. 1 4 On Your Knees. Still with the slip case outer sleeve, THE WHO's classic "WHO'S NEXT" album remastered and nearly tripled in length. Matrix / Runout (CD1): 00088 113 057-2 01 51349965 MADE IN GERMANY BY EDC. Puppy Love - Donny. The Twelfth of Never - Donny. This really is essential listening & a must have for any good music collection. Why - Donny. Too Young - Donny. When I Fall in Love - Donny. Soldier of Love - Donny. Original issue UK CD ABBA - Gold (Greatest Hits) Catalogue number: 517 007-2 19 tracks - see photos for details. Originally released in 1992. Everything looks to be in excellent condition. I will ship worldwide but the buyer pays the postage costs. All international parcels are shipped via UK Royal Mail International Tracked And Signed For Airmail. There are no exceptions so please don't ask. Take a look at my other items. I'm happy to combine shipping for multiple purchases. New but not sealed 2 Disc CD. No Refunds. 7 Reserved for future use. 6 China China. 3 Southeast and East Asia Breakdown of countries. 0 Multiple Areas Titles can be either NTSC (generally if they originate from the US) or PAL format(EU). Region Area Breakdown of countries. 4.5 out of 5 stars - Moodring. 3 product ratings3 product ratings - Moodring. Catch the Rainbow. Rainbow Eyes. Jealous Lover. Man on the Silver Mountain. Can't Let You Go. Eyes of the World. Gates of Babylon. Light in the Black. THE STYLE COUNCIL - GREATEST HITS. 4 A Solid Bond In Your Heart 3:18. Genre: Rock. 1 Speak Like A Child 3:16. 6 You're The Best Thing 5:40. 2 Money Go Round Parts 1 & 2 7:42. 16 Life At A Top Peoples Health Farm 4:18. AVAILABLE WORLDWIDE - £5.50. 15 Misty Blue. 13 In My Place. 12 Think Twice. At the Bbc CD (2003) NEW Title: At the Bbc Genre: Rock/Pop|Rock Duration: 68.30 mins Format: CD / Album Type: CD No. of Discs: 1 disc(s) Studio / Label: Polydor UK Release Date: 14 Apr 2003. Disc 1 14 Four Until Late 1.55 mins. Marilyn Manson - mOBSCENE. Matrix No:DISCTRONICS MOBSCENE 01. However, I popped in to the loft looking for Christmas decorations. Year of release: 2003. Country of Origin: UK. Various ‎–. 4 – Various. Grease (Beatmasters Remix). 13 – Girls Aloud. Written-By –Jim Jacobs (2) ,Warren Casey. We Go Together. 12 – The Cheeky Girls. These Are Worse Things I Could Do. For standard plastic jewel cases this includes the CD with a piece of card wrapped around it and placed in a jiffy bag. Inlays : Very good. CD : Very good a few very faint marks on disc. Storage Location : L1. SACRED LOVE . 10 Sacred Love 5:43. 2 Send Your Love 4:38. 11 Send Your Love 3:15. 9 The Book Of My Life 6:15. 8 This War 5:29. 7 Forget About The Future 5:12. A Quick One. QUICK DESPATCH. SPIRIT ON THE WATER. THE DONATION YOU ARE MAKING TO THE. O RGANISATION (GMFA). LEPER'S SONG. LOVE IS LIKE A VIOLIN. Back On The Radio. UK £0.00, extra copies add £0 per item. UK Parcel Force 48 hour £9.50, extra copies add £9.50 per item. REST OF WORLD [INC CANADA] £3.85, extra copies add £1 per item. USA £0.95, extra copies add £1 per item. Synchronicity I. Synchronicity II. Format: CD. Tea In The Sahara. Classic Artists. Title: At the Bbc. 1-14 Four Until Late. Format: CD. Condition: New. 1-24 Politician. 1-23 Sunshine of Your Love. 1-22 Take It Back. 1-21 Outside Woman Blues (Blind Joe Reynolds). Up for grabs is this CD by Sting. On the A&M label, the catalogue number is 986 053-5 and the date of issue is 2003. Sacred Love. Send Your Love (Featuring Vincente Amigo). Send Your Love (Dave Aude Remix). UK Parcel Force 48 hour £9.50, extra copies add £9.50 per item. UK £0.00, extra copies add £0 per item. Its My Life. We have offices near London in the UK, Las Vegas in the USA, Hiroshima in Japan. Rooney - (2003). Condition is Like New. Dispatched with Royal Mail 2nd Class Large Letter.